After holding Toulouse to a goalless draw on the road in their last league match, Angers will be looking to return to winning ways in the Ligue 1 when they host Dijon at their Stade Raymond Kopa on Saturday evening. Les Scoistes missed a penalty in the draw to Toulouse and it has to be noted that they should have won the match. 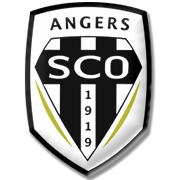 Anyhow, Angers have been showing signs of improvement of late and we predict that they are going to give fans some cheer this weekend. 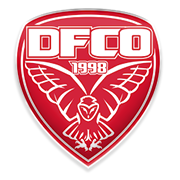 Dijon, on the other hand, did well to beat struggling Monaco at the weekend, with the team building on a thrilling 6-3 Coupe de France win over Saint-Etienne. The Mustards, though, are not regarded as good travelers and that is the main reason why we are tempted to put our money on les Scoistes this time out. Angelo Fulgini is a French footballer who plays for Angers in Ligue as a midfielder. Fulgini played for the likes of AS de Saint-Paul-en-Foret, FC Vidauban, SC Douai and Valenciennes during his youth career and he continued playing for the Athenians at senior level. After scoring eight goals in 80 appearances for Valenciennes from 2015 to 2017, he moved to Angers before the start of the 2017/2018 Ligue 1 campaign and he quickly established himself as a first-team regular at Stade Raymond-Kopa. Angelo Fulgini scored his first ever goal for les Scoistes on August 6, 2017 in a 2-2 draw with Bordeaux. Despite being born in Abidjan, Ivory Coast, on August 20, 1996, the Angers midfielder represents France on the international stage. Angelo Fulgini has 3 caps for the France U21 team, while making 15 appearances for the U19 team. His main position is central midfield, but he is uses as both right-back and right midfielder as well. His preferred foot is right.